Sonai Metals are industry leaders in marble floor inlay cutting services. Our expert professionals use latest technology and machinery to cut marbles in different complicated shapes as per the specifications of our clients. Sonai Metals was established in the year 2006. We are leading Manufacturer and Supplier. Laser cutting offers a quick and highly accurate method for cutting and engraving a wide range of materials. 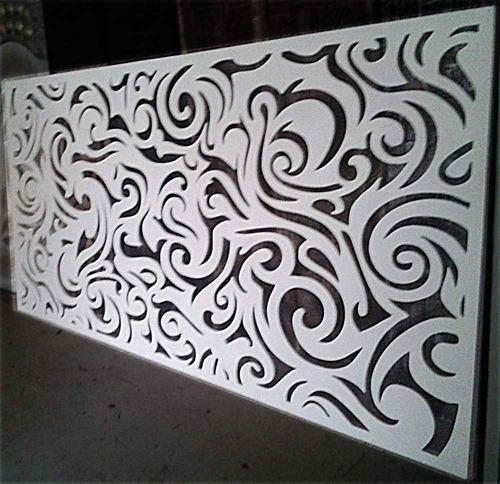 Our industry leading high power co2 laser cutting machine can cut letters in ms and ss materials as per the font size, shape, style required by the customers. These services are useful for sign board makers, name plate displays, etc. Catering to the rising and ever increasing needs of our precious customers, we have come up with a vast and quality assured collection of Flat Cut Metal-Faced Acrylic Letters. Their sturdiness, hassle free operations, longer working life and seamless finish makes these products a preferred choice of our customers spread all over the nation. Being a perfect solution, these are highly demanded in the industry.